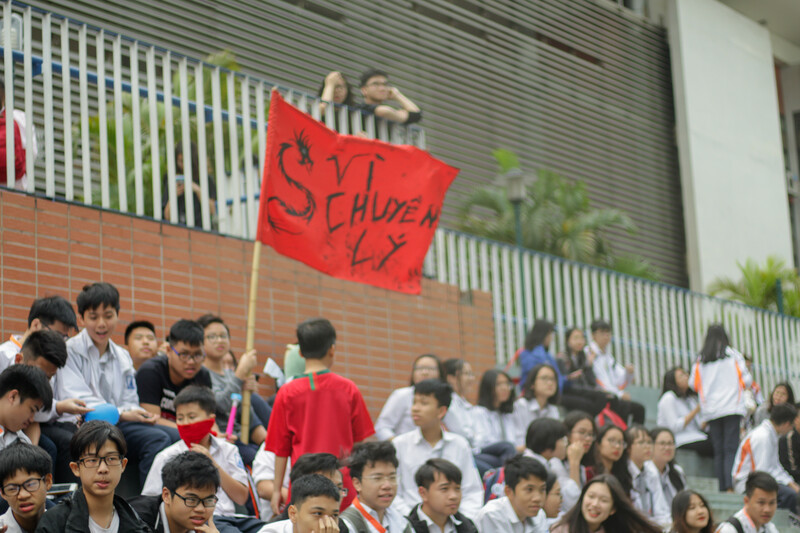 On the morning of March 6th 2019, Hanoi Amsterdam High school for the Gifted’s annual football championship, Ams Cup took place at Ams Arena in the enthusiastic cheers of many students and parents. Immediately after lessons ended, audience’s seats in Ams Arena were filled with uproarious cheers from the enthusiastic supporters. The students certainly looked forward to this final. 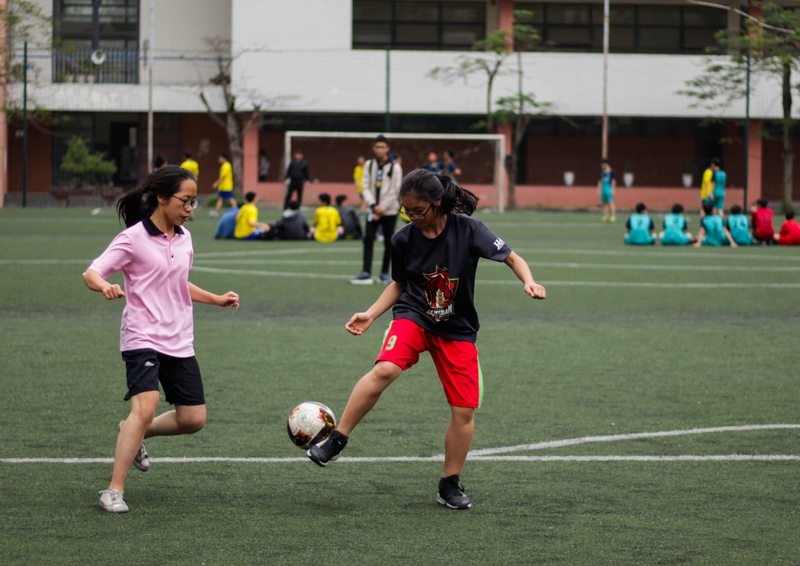 There were 8 teams participating in the final to seize the championship, including 8A11-Star - Gam Cau FC of the 7-8 league, FC Bo De - Galacticos of the 9-10 league, Hydra - Hac AE of the 11-12 league, and especially, Pinky - Huy Diet competing for the first girls’ championship in this season. 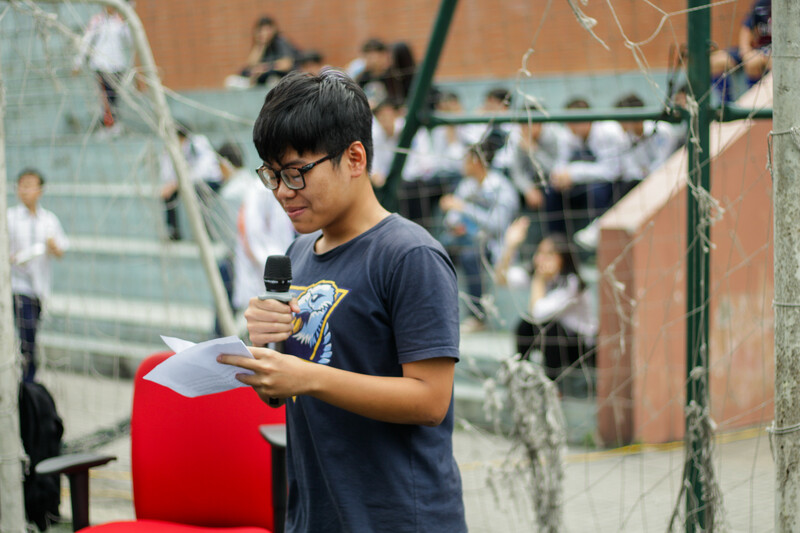 At exactly 10:20, after the teams had looked towards the flagpole singing our national anthem, the organising team declared the opening of Ams Cup’s finale 2018-2019. In the first shift of the tournament, controlling the first pitch were the girls from Pinky and Huy Diet. Van Ngoc Kieu helped Pinky score the first goal. However, soon afterward, Huy Diet had successfully made an equalizer. Ending the match, the two teams entered penalty round with Pinky’s victory of 4-3. Pinky became the first female team to be Ams Cup’s champion. The second pitch was where shined FC Bo De and Galacticos, the Physics and Mathematics boys. Bo De and Galacticos were highly appreciated from the beginning of the tournament with strong players, such as Tung Lam, Doan Anh or Bebeto. Undoubtedly, Doan Anh had scored two deciding goals for Bo De. Onto the second half, despite Galacticos’s efforts, they could not score a goal. The match ended with one-nill, and Bo De FC had won the cup of 9-10 league. The second shift was when the competition between Hydra and Hac AE took place; the two teams were widely known for discipline and solidarity, and, the two teams indeed have many brilliant players. 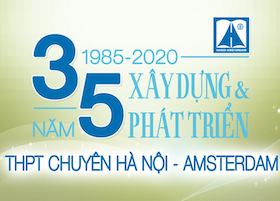 Duc Thai, Cong Minh and the harmonious couple Xuan Loc - Huy Hoang of Hydra, Duc Minh, Duc Chien, Bao Minh of Hac AE. The two teams had brought an eye-catching match, and Huy Hoang had not let spectators down, scoring a goal and bringing Hydra to the tournament’s champion trophy. The match ended with one-nill. On the other pitch was the contest between 8A11-Star and Gam Cau FC. Players from the two teams had proved that though they were young, they were talented. Only when Duy Anh scored did the match end. The match ended with Gam Cau FC winning one-nill. So another season of Ams Cup had ended with persuasive victories from the teams. 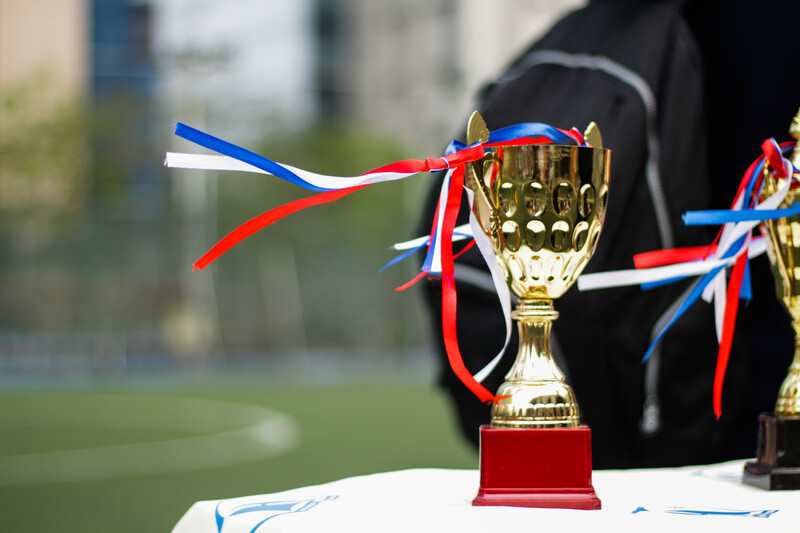 Congratulations to the organising team and winning teams, we are looking forward to the next seasons of Ams Cup!